Home / Blog / I’m An Adult, What’s With The Acne?! Also known as “hormonal acne” it can be very frustrating to treat, especially if you don’t have oily skin and thought your spotty teenage years were behind you. The breakouts will typically appear on the chin and jaw line and probably coincide with you period. The breakout will usually be deep, take a long time to come to a head (if at all) and be sore to touch. These cystic type breakouts can lead to scarring in the skin. If you breakout gets worse changing birth control, or going off it, then it’s hormonal related. Other things that can affect your hormones and cause breakout are diet and stress. Sugar is huge acne trigger. Stress messes with our cortisol levels and therefore our hormones. Treatment can be confusing because often our first response is to ‘dry out’ our acne even if we have dry skin. Stripping your skin with too much washing is the worst thing you can do for hormonal acne. When you strip the skin of its natural oils it becomes tight and dry. To protect itself the skin then starts to produce more oil, which in turn creates more acne and sensitivities. Avoiding this vicious cycle is key to getting on top of acne skin. Use a mild cleanser that doesn’t strip the skin. It’s important to keep your natural oils balanced while cleaning mildly. You still need to kill the p bacteria causing the acne. A chemical exfoliation like salicylic acid (derived from Willowbark) is great for getting into the skin to kill bacteria and unclog pores without scratching the surface. If your acne hasn’t come to a head an exfoliant that doubles as a mask with gentle clay to draw out bacteria is also a great choice. Often serums will have the essential ingredient needed to treat these tricky conditions. Serums are your vitamin shot and when trying to balance disrupted skin should not be skipped. Using a great professional serum morning and night will greatly improve your skins condition. It is important to moisturize still. Not moisturizing will lead to the skin becoming too dry and over producing oil again. Using the correct serum for your skin type is very important. Using a normal day moisturizer is fine to balance your skin and will not lead to extra acne. Using a moisturizer in the evening that contains a mild AHA is also great for keeping skin clean and helping to clear stubborn acne. Think of it as your over night skin trainer. Using a spot cream will help current breakouts. Looking for antibacterial ingredients like tea tree oil can be highly effective at letting the blemish heal. A great spot treatment won’t just dry out a spot but contain anti-inflammatory ingredients that will work like magic to help spots disappear within 48 hours. Having a healthy gut will help your body balance out your hormones. Treating the condition internally as well will go a long way in preventing future breakouts. Seeing a qualified natural health practitioner will go a long way to help you heal your hormonal imbalance. They can test for food intolerances that may be contributing to the imbalance and prescribe herbs to assist the body to heal. 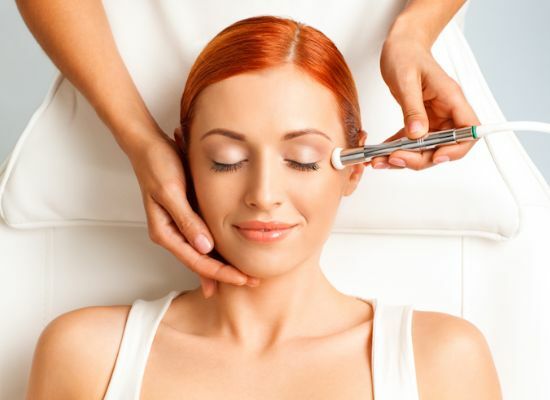 Additionally it is also helpful to speak to a professional beauty therapist about a course of peels to give the skin a great clean out, heal any scarring and create a fresh start for your skin in a controlled environment. Stress is a huge contributor to hormonal acne. Taking some serious time out to chill will greatly increase your chances of balancing your hormones out again, plus healing your acne at the same time! Try creating a spa experience in your home with beautiful bath salts, body washes and creams.